Make-A-Wish Connecticut has two fun ways for you to get out and enjoy the spring weather this May. The 2017 Walk For Wishes is May 13 and the 4th Annual Memorial Poker Run is May 28. Both events will allow you to get outside, get active and help Make-A-Wish Connecticut at the same time. On Saturday, May 13, come to Lake Compounce in Bristol for the Walk For Wishes. This is the first year the event will be held at this new location, and it’s sure to be a blast. By attending the walk, you will be able to get into the theme park before it opens. Walkers will have the option to buy tickets to the park at a discounted rate, but you will also have the opportunity to get free tickets just by fundraising for Make-A-Wish. Individuals who raise $100 or more will receive free admission. Families who raise $350 will receive four free tickets to the park. Admission tickets are great, but of course the main reason to come to the Walk For Wishes is to help raise money to grant wishes. There are no fees to participate in the walk, but fundraising is highly encouraged. In addition to the admission tickets you can earn, individuals who raise $30 or more will also receive a Walk For Wishes t-shirt. The event begins with registration at 8 a.m. followed by the walk at 9. The 3-mile route will conclude with a wish celebration at 10:30 a.m. During the celebration, you’ll see a wish granted live! After the wish celebration, stick around for food and family fun. 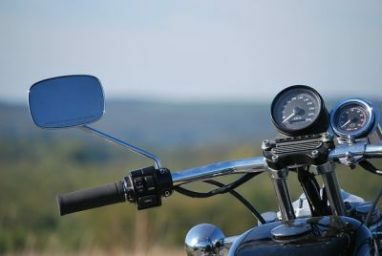 If motorcycles are more your thing, Make-A-Wish Connecticut has got you covered with the 4th Annual Memorial Poker Run on May 28. The ride is being held in memory of Gary Bissonnette. Riders can meet at the Music Lady Café in Central Village at 9:30 a.m. to register for the ride. The run leaves at 11 a.m. and will be followed by a BBQ, drawings for prizes and more fun. The registration fee is just $20 per rider and $10 per passenger. Another easy way to help Make-A-Wish Connecticut this spring is to donate your unwanted car or motorcycle to Wheels For Wishes. Our car donation program helps raise money so that Make-A-Wish Connecticut can grant more wishes for deserving kids. Donors also receive free towing from anywhere in Connecticut as well as a tax deductible receipt. Donating your car only takes a few minutes! Get started now by calling 1-877-431-9474 or filling out an online car donation form.